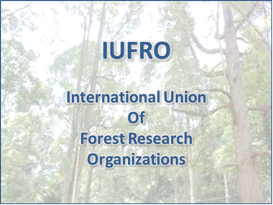 The Urban Forestry Section of the International Union of Forest Research Organizations (IUFRO) has developed this online directory to facilitate research collaboration and information dissemination among its members across the globe. Membership is free and to join, please click the button at the bottom of the screen. By completing the questionnaire, you will be included in the new directory and also receive, if you choose, the latest Urban Forestry News and Updates, via email, using our new list-server system. To learn about other urban forestry researchers, please select a country and area of interest below.